(Note: There is no need to use oyster sauce or the need to marinate this pork meat first). 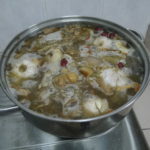 Prepare a big pot of boiling water, gently put all meat into boiling water (Reason is to remove scum and blood from meat) Scum is the whitish that floats on top of soup this will make your soup very cloudy looking, so this step is very important, boil for around 3 mins. 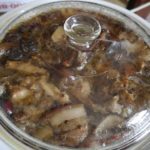 Use another pot to boil only the Bak Kut Teh Herbs for around 15 mins to 20 mins, after that pour into wider bottom together with the meat. Now, you can only estimate how much water you’ll need to put in here in this step, cover just above meat! Put in all the ingredients above garlic, ginger, salt, taucu, soy sauce, pepper, crystal sugar, sugar, white peppercorn, cinnamon, star anise. Boil for 30 mins, then transfer to your crock pot or slow cooker, set to HIGH for one hour, then the rest 5 hours on LOW. 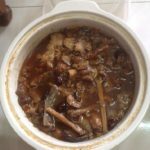 First day – You won’t be able to taste the true thickness in this Bak Kut Teh, so save more for tomorrow keep into refrigerator lower compartment. Second Day – Reboil Bak Kut Teh the next day,now you’ll be able to taste the “THICKNESS” of this broth Bak Kut Teh Soup just like Klang version!, if on the 2nd day you need to refill your meat and Bak kut teh herbs, simply buy new pork meat 1kg + 1 pack of BKT herbs with additional self pack and reboil with the previous ones (together with all the stuff inside). Do not worry herbs will go bad or food poisoning, it won’t go bad if keep inside fridge and reboil back the next day. 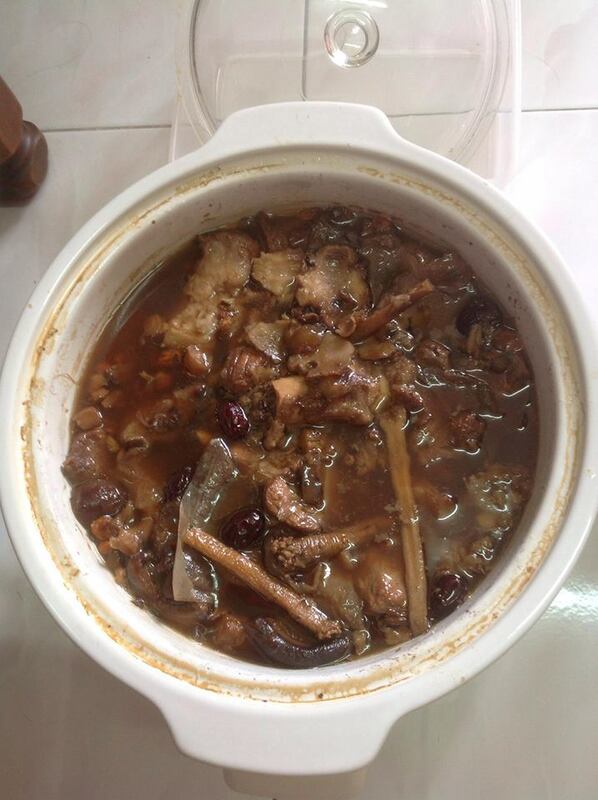 If you need to store Bak Kut teh into fridge, make sure it’s not hot coz first you’ll increase temperature in your fridge, secondly, steam water trap will increase bacteria, just make sure it’ not hot anymore then only put into fridge. Warning: Do not reheat slow cooker pot when you take out from fridge because cold to hot it’ll crack, transfer to stainless steel pot and reboil back until boiling point, then it’s safe to consume.